A 24-hour strike by Ryanair pilots will go ahead from 1am tomorrow after talks between management and unions broke up without agreement. The airline has cancelled 30 of its 290 scheduled high-frequency flights between Ireland and the UK. Ryanair said it cancelled those flights rather than hitting European routes used for family holidays to summer resorts. Passengers who have not received an email or text alerting them to the disruption can assume that their flight will depart as normal tomorrow. Customers who do suffer delays or cancellations can consult the website of the Commission for Aviation Regulation for details of their entitlements. Good news. By 5pm today, over 90% of our 5,000 customers whose Ireland-UK flights on Thur 12 July were cancelled due to an unnecessary strike by 27% of our Irish pilots will have been re-accommodated on alternative flights, or applied for full refunds. Ryanair’s Chief People Officer said it was unfortunate that the talks had not succeeded, but that the airline remained available for talks. The airline tweeted a draft press release that it was hoping to issue with Fórsa, which outlined proposals for a working group on issues in dispute. However, the two sides were unable to break the deadlock. The Director of Communications with pilots' union Fórsa has said the possibility of establishing a working group to look at the substantive issues in the dispute was explored. Speaking on RTÉ's Six One News, Bernard Harbor said while the two sides were not able to agree how to progress this, the fact they were able to discuss it in detail and for some time suggested there was a shared view that it was possible to engage on the issues. He said there was very little optimism on both sides at the beginning of the talks that tomorrow's action could be avoided. Mr Harbor said the talks came very late and the union would have liked to have met airline management at a much earlier stage. He said that this dispute is not about pay but about issues such as what happens when a pilot is transferred to other bases. Mr Harbor said Ryanair was a big company with scores of bases across Europe, adding that sometimes pilots could be sent to work thousands of miles away from their families. While the union accepts that this must happen in an international airline, it must be done in a fair and transparent way, he said. The Irish Air Line Pilots' Association said the strike was over management's approach to transferring pilots between its European and African bases. It also said there was no transparent system for allocation of annual leave and promotion. 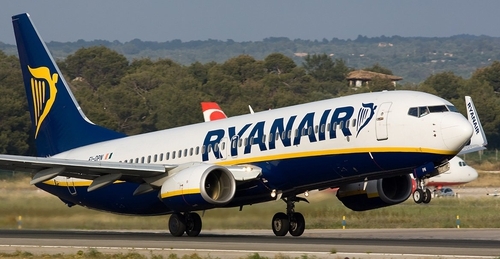 The union said it was seeking an agreement to "provide our member pilots directly employed by Ryanair with a fair and transparent mechanism to understand how and why they are in the base they are in, the order in which their turn may come up for a transfer, how and why they received a particular annual leave allocation, or any other decisions that should take due account of their length of service and seniority in the company". In a statement, the airline said: "We have tried to avert this disruption, which is unnecessary given Ryanair pilots’ and their union Fórsa has received written proposals on seniority, annual leave and base transfers, which are what Fórsa claims are the reasons for this strike, yet Fórsa has rejected 21 separate invitations to meet Ryanair to negotiate these documents."